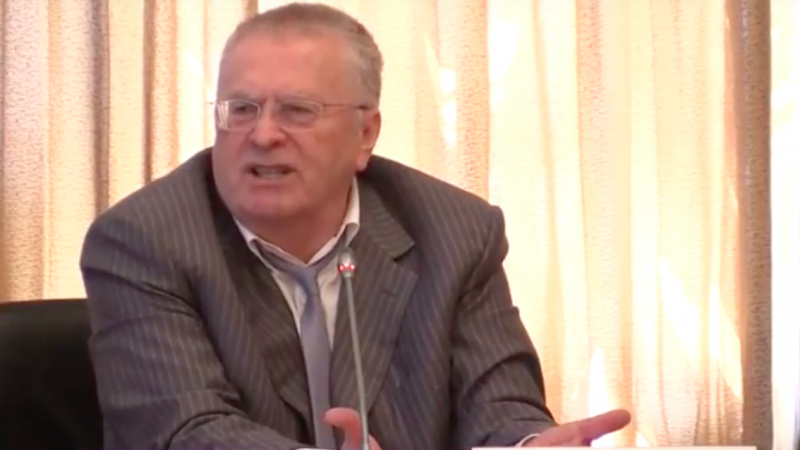 Vladimir Zhirinovsky speaks at the first meeting of the Council of Bloggers in Russia's lower house of parliament. Source: YouTube. 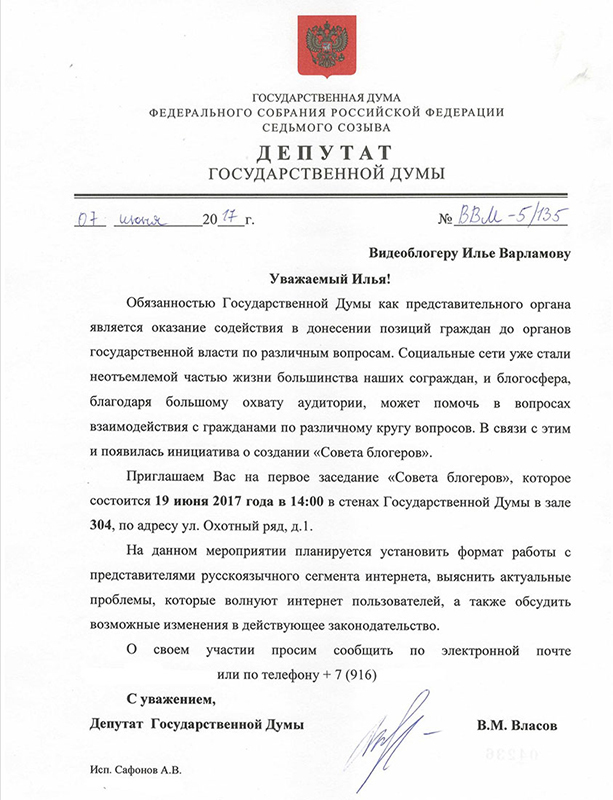 Within days of announcing the creation of a “Council of Bloggers” in Russia's lower house of parliament, State Duma MP Vasily Vlasov had put together an impressive guest list for the first meeting: Vlasov extended invitations to 25 influential writers and videobloggers, including opposition leader Alexei Navalny, Wylsacom (Valentin Petuhov), Sasha Spilburg (Aleksandra Balkovskaya), kamikadze_d (Dmitry Ivanov), and Ilya Varlamov—it was a veritable who's who of the Russian blogosphere. The only problem was that all of them RSVP'd “no” to the June 19 meeting. Indeed, none of the influential or controversial bloggers invited actually showed up to the meeting, which was instead attended by pro-regime or apolitical bloggers. (Watch the full meeting here.) The bloggers who did attend included Elena Lisovskaya, the author of the “Lisa Drives” car testing videoblog; firebrand Liberal Democratic Party of Russia leader Vladimir Zhirinovsky; and Elizaveta Peskova (the daughter of Kremlin Press Secretary Dmitry Peskov), whose online presence quite limited outside of her Instagram feed, which features glam shots of her taken across Western Europe. Накануне, в прямом эфире РБК шла дискуссия о том, что власть не слышит молодежь, а несколько недель ранее я писала о том, что не понимаю, что наша Московская мэрия делает с тротуарами и с организацией движения в центре Москвы. Пускай, не со всем можно согласиться, но сам факт, что мне ответили меня поразил. Я хочу сказать СПАСИБО за ответ. Все действительно зависит от нас и нашей способности вести диалог. Varlamov, a popular blogger who declined to attend the event, speculated that the Kremlin had arranged the Council of Bloggers in response to the anti-corruption protests that have swept across Russia over the last three months, in part powered by influential bloggers posting on social media. 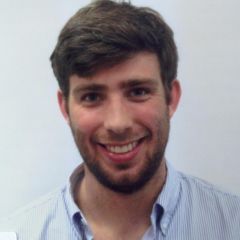 Varlamov saw the formation of the Council as way for bureaucrats to connect with disgruntled youth, whose presence at the nationwide protests has surprised many commentators—and worried many state officials. The invitation sent to the popular blogger Ilya Varlamov to attend the first session of the Council of Bloggers. Source: http://varlamov.ru/2415417.html. The formation of the Council comes amidst a broader effort by the Russian government to connect with younger generations: at the end of April, the Duma created official Twitter, Facebook, Instagram, VKontakte, and Odnoklassniki pages to promote its activity among millennials. Still, members of the State Duma were quick to distance themselves from the Council of Bloggers, saying it was entirely led by Vlasov, the youngest member of parliament. Some of Vlasov's colleagues went as far as to accuse him of using the initiative to increase his name recognition and popularity online.